Skoda Fabia Running Costs, MPG, Economy, Reliability, Safety | What Car? The Fabia excels here, proving to be extremely competitively priced against its rivals. Our favoured SE version is priced between an equivalently equipped Vauxhall Corsa – a car that is overall much worse than the Fabia – and the pricier but ultimately better Seat Ibiza and Volkswagen Polo. Sell after three years and the Fabia will be worth less than an equivalent Ibiza or Polo, but the fact that it's cheaper to start with – helped by reasonable dealer discounts – means you'll actually lose less money in depreciation. 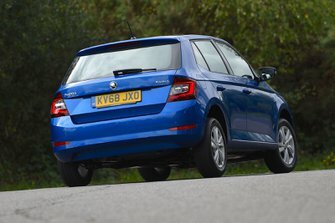 There isn’t a particularly poor performer in the Fabia’s exclusively petrol line-up for emissions and fuel economy. Company car drivers will want to consider the 1.0 TSI 95, which emits a reasonable 104g/km of CO2, while that engine also offers impressive claimed fuel economy. Entry-level S trim misses out on some kit most people would consider the norm these days, such as air conditioning, alloy wheels and a DAB radio. A glance at the equipment list confirms why SE makes more sense. Alloy wheels, air-con, a DAB radio, rear parking sensors and a leather steering wheel and gearlever all feature. It makes the range-topping SE L seem a bit unnecessary. Colour Edition models are based on the SE spec, but only really add cruise control to the kit list; the other changes are purely cosmetic. Still, it doesn’t cost too much extra, so is worth considering if you want more individual looks. Changes to Monte Carlo models are also cosmetic, but these cost quite a bit more. They are by far the sportiest-looking Fabias, although they don't have any more power. Some options worth having include metallic paint, a front centre armrest and safety equipment available from SE trim upwards – more on that further down the page. If you feel like spoiling yourself and brightening up that functional interior, a panoramic glass sunroof is available (standard on Monte Carlo), but be aware that this does impact on rear head room. Skoda scored impressively in our latest reliability survey, finishing 13th place out of 32 manufacturers, above rival brands such as Renault, Seat and Volkswagen, but below Ford and Kia. 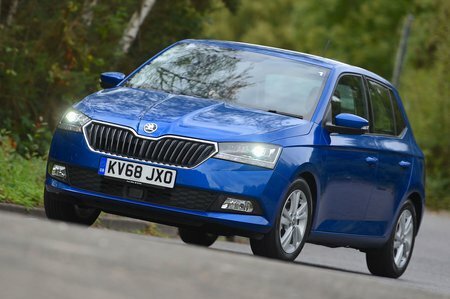 The Fabia finished towards the top of the pack in the small car class, above cars including the Mazda 2, Dacia Sandero and Audi A1, but below the Honda Jazz and Hyundai i20. A three-year warranty limited to 60,000 miles comes as standard with every Skoda. That’s typical of most car makers, but not as good as Hyundai’s five years or Kia’s seven years. All Fabias come with six airbags, a tyre pressure monitoring system and Isofix child seat fixings on the outer rear seats. An engine immobiliser is standard, too. From SE trim upwards, the Fabia also gets automatic emergency braking as standard; it’s designed to perform an emergency stop if you are about to slam into the car in front. You can also add blindspot monitoring and rear traffic alert, which warns the driver of approaching traffic when reversing, from SE trim. 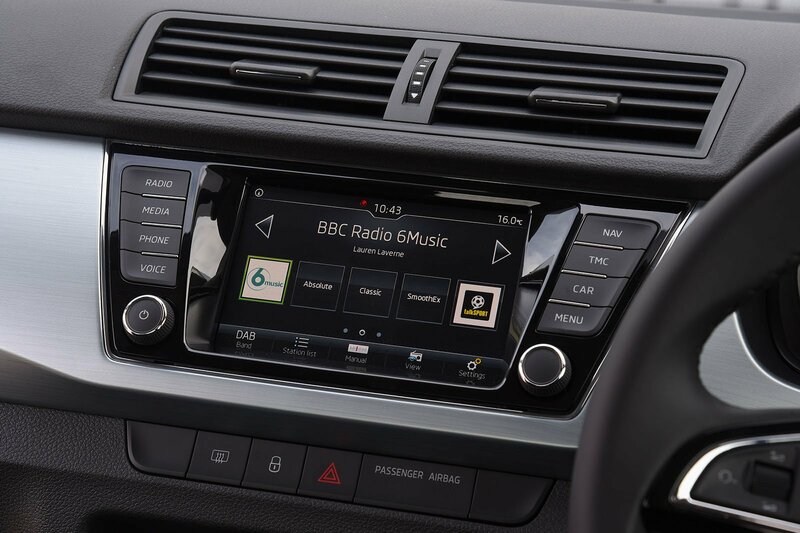 In tests that assess how well cars resist being broken into and driven away, security firm Thatcham Research has rated the Fabia highly. It achieved the maximum five stars in the drive-away test and a very impressive four stars for resisting break-ins.